We put the ART in pARTy! 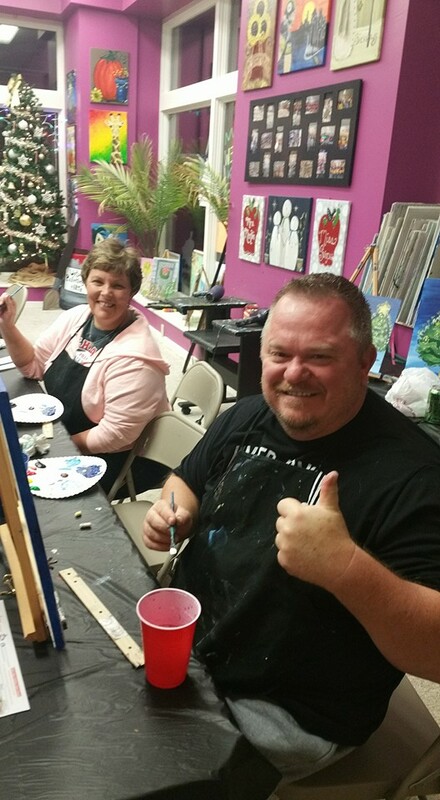 ← Celebrate the Holidays with Uptown Painting Party! Happy New Year from Your Friends at Uptown Painting Party! From all of your friends at Uptown Painting Party, we would like to express our sinceer gratitude for all of your support in 2015. We had a fabulous and can’t wait to pARTy with you in 2016! Our creative team is currently working very hard to continue to bring you images and ideas that you can come and paint, relax, and have a memorable experience. Thank you, thank you, thank you!!! Cheers to 2016!! For More information, please visit the Facebook Event Page by clicking here! We have an exceptional line up for you to enjoy during your festival and take home something to remember! We have all day crafts and small items to create, as well as scheduled events! Are you putting together your upcoming fundraising calendar? We’d love to help your organization raise money for 2016! Contact us TODAY to get on our calendar! Our events are quickly becoming bigger and better than ever! Contact us now for more info and available dates! Our FUNdraiser for Katie Repasky at St. Sava Serbian Orthodox Church Hall. We raised Katie $1,600 for her fight with Cassleman’s Disease. January Calendar is Up!! – Check it out!! Open Studio is Staying OPEN! Miss one of our events? Come to our Open Studio! NEW Open Studio Hours!>> Check out our Calendar! $25 Open Studio Ticket: Come in from 10am-4pm Wednesday-Friday and paint whatever you would like! Use our supplies! We clean up, you enjoy the space and time! $35 General Admission for Parties of 2 or more: Bring a friend and paint any painting you would like in our gallery! $45 One on One Instruction: 2 hours of one-on-one instruction on any painting in our gallery! Schedule Now! Punch Cards only applicable for $35 general admission price ONLY! Thank you for your cooperation! Do you like us on Facebook yet?? Join in the fun with over 7,000 local pARTiers! This entry was posted in General Info, News & Updates and tagged events near hidden valley, events near seven springs, fire and ice festival, glades pike winery, hidden valley, indoor activities in the laurel highlands, johnstown pa, laurel highlands, pa events, seven springs, skiing in pa, somerset, somerset county, things to do in somerset pa, things to do near johnstown pa, uptown somerset. Bookmark the permalink. You must register for our calendar events.